It was just last month that Aryan Khan and Navya Naveli Nanda graduated from Seven Oaks School in London. And the pictures from their graduation went viral on social media. 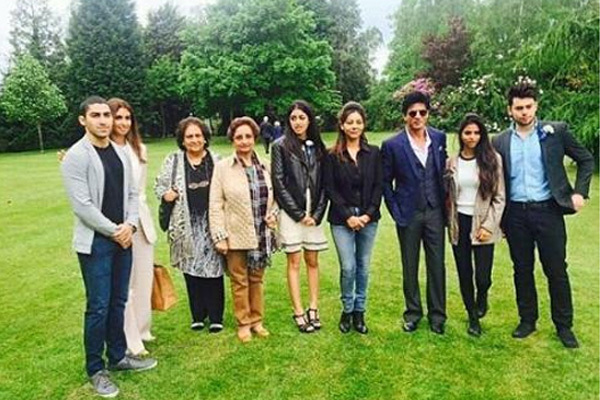 After them celebrating their graduation day with full pomp and show along with family, it was recent that a fan club of SRK daughter Suhana Khan shared a picture where the Bachchans and Khans come together for a click. In the picture you can see, Shweta Bachchan Nanda, Navya Naveli Nanda, Shah Rukh Khan, Gauri Khan, Suhana Khan and Gauri's mother with a few other friends. SRK’s son Aryan Khan also shared another selfie with mommy Gauri in London. They all look great and lovely together! Guess Who is Salman Khan's 'apple of the eye'? 'Kick' star Salman Khan is famous among kids and they love him too, but this superstar is all head over heels for his adorable nephew Ahil. We have a perfect visual treat for Salman Khan fans, as Salman's sister Arpita Khan shared a picture on Instagram of him planting a kiss on his forehead. Arpita shared the photo with a caption, "My Favourites them! Blessed with the best can't thank god enough. 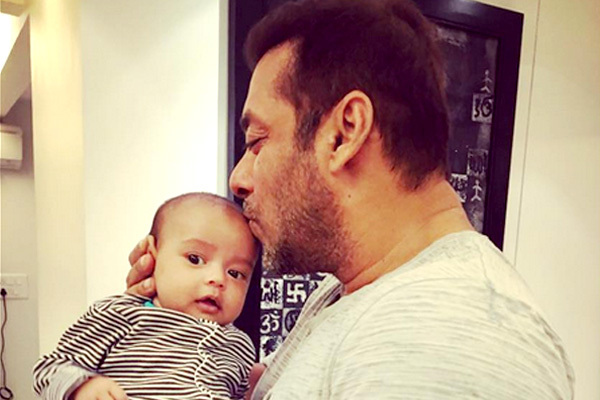 So fans don't miss this brand new picture of baby Ahil with Salman Mamu. Arpita is very active on social media platforms, she has always been posting pictures with Ayush, Ahil and friends on Instagram. Recently, Arpita and Aayush Sharma's were seen holidaying in New York with their first born Ahil. Baby Ahil was born on March 30.